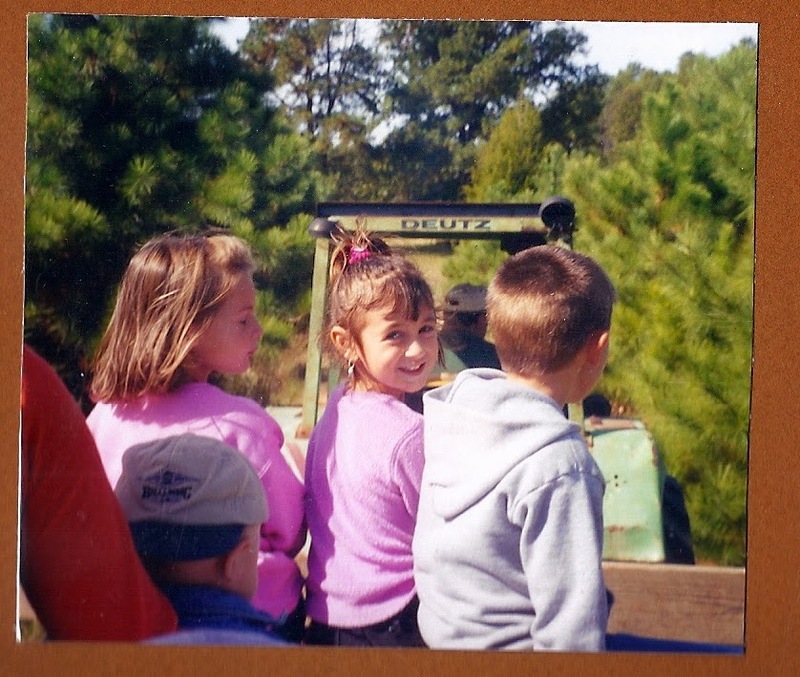 That's a 2001 shot of my daughter, Sarah, on the left, my son, Zack, on the right & their friend, Lorane, in the middle on a wagon ride at the "The" pumpkin patch, other wise known as Mt. Olympus Farm. We've bought our pumpkins from Mt. Olympus every year since. It's tradition. Zack & Sarah are almost-adults now (almost 18 & almost 20) but they still love going to the pumpkin patch to pick their own pumpkins. Zack even rearranged his work schedule so that he could go this year. I like to think it's because they like hanging with their mom, but I have the sneaking suspicion it's more like they know Momma's buying. So, that's our pumpkin picking tradition. What's yours? We used to take our boys to a local store where they chose the biggest pumpkins that they could carry. Who cares what it looked like as long as it was BIG! Oh how I wish it was that simple for us. Sarah spends hours searching for The perfect pumpkin while Zack gathers as many as he can carry.